Summary: Many people throughout history have prophesied the end of the world, and now we are hearing about another one with the Mayan Calendar purported to end on December 21, 2012. How should we view all this? 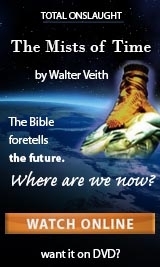 History has countless examples of people who proclaimed the end of the world and return of Jesus Christ is imminent. Perhaps there has never been a stranger messenger than a hen in the English town of Leeds in 1806. Apparently it began laying eggs with the phrase "Christ is coming" written on each one. As news of this miracle spread, many people became convinced that doomsday was at hand, until a curious local actually watched the hen laying one of the prophetic eggs and discovered someone had hatched a hoax. When comet Hale-Bopp appeared in 1997, rumors surfaced that an alien spacecraft was following the comet, covered up, of course, by NASA and the astronomical community. Though the claim was refuted by astronomers, and could be refuted by anyone with a good telescope, the rumors were publicized on Art Bell's paranormal radio talk show "Coast to Coast AM" in the United States. These claims inspired a San Diego UFO cult named Heaven's Gate to conclude that the world would end soon. The world did indeed end for 39 of the cult members, who committed suicide on March 26, 1997. The French prophet of the 16th century, Nostradamus, predicted that a great king of terror would come from the sky in the year 1999. Many Nostradamus devotees grew concerned that this was the famed prognosticator's vision of Armageddon ushering in the end of the world. In May 1980, televangelist and Christian Coalition founder Pat Robertson startled and alarmed many when he informed his "700 Club" TV show audience around the world that he knew when the world would end. "I guarantee you by the end of 1982 there is going to be a judgment on the world," Robertson said. With all this behind us, we now face a new prediction that is startling many. 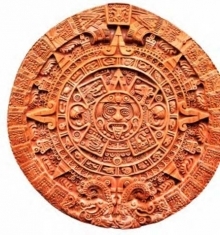 An ancient Mayan Calendar supposedly predicts the end of the world in December 2012. The 2012 phenomenon comprises a range of end time scenarios according to which cataclysmic or transformative events will occur on December 21, 2012. This date is regarded as the end-date of a 5125-year-long cycle in the Mesoamerican Long Count calendar. Various astronomical alignments and numerological formulae have been proposed as pertaining to this date, though none have been accepted by mainstream scholarship. A New Age interpretation of this transition is that this date marks the start of time in which Earth and its inhabitants may undergo a positive physical or spiritual transformation, and that 2012 may mark the beginning of a new era. Others suggest the 2012 date marks the end of the world as we know it or a similar catastrophe. Scenarios suggested for the end of the world include the arrival of the next solar maximum or Earth's collision with a black hole, passing asteroid, or a planet called "Nibiru,” also known as Planet X. So here comes the question to see if you have paid attention so far: What does an egg, a comet, a French prognosticator, a Christian pastor, a computer, an ancient calendar, and a planet called X have in common? You guessed it—they all seemingly predicted the end of the world! But they have something else in common too—so far they have all failed! If I asked you right now to point in the direction of north would you be able to do it? Maybe, maybe not. If your life depended on it, you would think twice. As a matter of fact, you would most likely get a compass to confirm your guess. 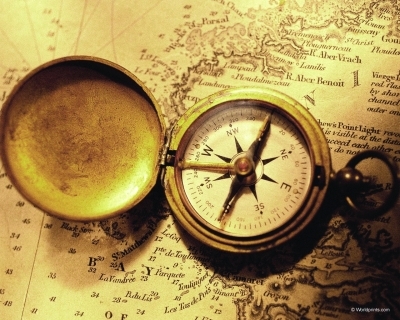 We need a compass to know, with absolute precision, which direction is north. Today we all want to know what the future holds. We want a certain amount of direction in our lives. Where are we heading and what lies on the horizon? It’s easy to guess and maybe some of our guesses turn out to be true, but there must be a way to be more certain. I believe it involves an instrument, but this time, not a compass. I have personally found the Bible, God’s Word, to be my compass directing my path and revealing what lies on the horizon. But just like you can get lost when you don’t know how to use a compass, so you can get lost when you don’t know how to correctly apply the prophecies of the Bible. The reality Jesus confirms is that none of us know when the end of the world will come. When Jesus said no one knows the day and the hour, this includes the December 21, 2012 prediction. Are we then left in doubt regarding the end of all things? Are we like a boat rocked to and fro on the ocean without a course? Where are we in the scope of time? I am glad the same chapter in the Bible that says we do not know the day and hour of the end gives us instruction as to what we can expect in the future. These words fell like a bomb on the Jewish audience as they expected their temple to be the pinnacle of glory forever. And so Matthew 24 begins with Jesus’ disciples showing Jesus the beauty of the temple, trying to convince Him that His prediction could not possibly happen. Even Jesus’ closest friends could not understand His words about the destruction of the temple. Obviously Jesus knew that much deception and misinformation would revolve around predictions of the end of the world. In hindsight, we can confirm these words as true! Jesus continues to list some of the things that will increase as we approach the end. 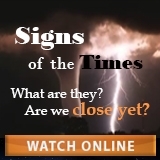 Since we obviously cannot watch for a date, we should be watching the signs. It is true these signs have been around for a while, but there is no doubt they have increased in frequency and intensity over the last decades. When you travel to a city where you have never been before, you will look for signs. As you get closer to your destination, the signs become more and more frequent. Could it be that we are getting closer and closer to the end of all things? Take notice of more signs that Jesus gives us. In the midst of increasing natural disasters and international turmoil, in the midst of global deception and the loss of moral values, the Gospel of Jesus Christ will be preached throughout the world. Jesus predicts the end will not come until the Gospel is preached in all the world! What a sign! Which Compass Are You Following? Who is going to make things right? Our chaotic world needs direction and solutions. We face momentous challenges on every side from worldwide problems such as terrorism and nuclear threats to environmental degradation and financial instability. Families are falling apart, thereby causing society to fall apart. Millions are looking to political and religious leaders for answers but are left empty and disappointed. Elections give a dim ray of hope, but quite often, things don’t turn out as promised. The reality is that political leaders are not addressing the real issue that causes the problems we all face. They can’t, because the real issue is an issue of the heart! I will give you a new heart and put a new spirit within you; I will take that heart of stone out of your flesh and give you a heart of flesh. I will put My Spirit within you and cause you to walk in My statues, and you will keep my judgments and do them. Before Jesus comes back the second time to restore this world and remove sin, which is the cause of all sorrow, His Gospel will go into the entire world. A restoration can already begin now in the midst of the world in which we are living. There is only One who can make things right. We don’t need to wait till the end of the world for the restoration and renewal of Christ to start. It can start in our hearts as we believe and embrace the good news of our Savior. Through His death, He paid the price of sin so you and I can be set free from it! All predictions of the end of the world fall into insignificance in comparison to the power of the Gospel, which breaks the bond of sin.